Perfect for when you don't have a lot of time. 1. Heat oil in a large saucepan; add onion and saute for 2-3 minutes until fragrant. Stir in garlic, chilies and pimentos. 2. Lower heat and pour in broth. 3. 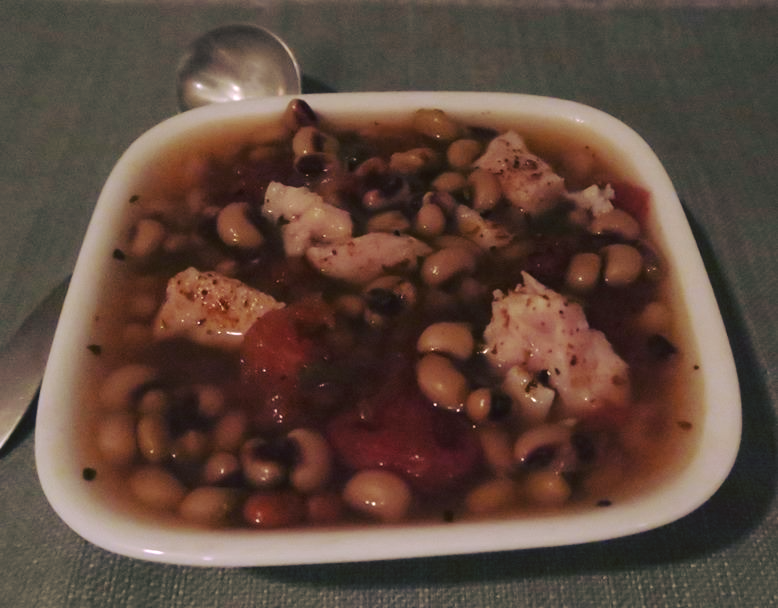 Simmer for 5 minutes, stirring occasionally then add in the Hoppin' John and black eye peas. 4. Cook for 10 minutes then remove from heat and stir in lemon or lime juice. 5. Serve with flour tortillas, if desired.